Virat Kohli was seen being livid on the field after RCB went down to Mumbai Indians by 6 runs on Thursday. 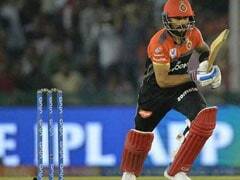 Virat Kohli might have been seen being livid on the field after Royal Challengers Bangalore succumbed to a six-run loss to Mumbai Indians on Thursday owing to an umpiring blunder, but he seems to have realized within a day of the highly charged incident that the best way to deal with the frustration is a good bout of laughter. 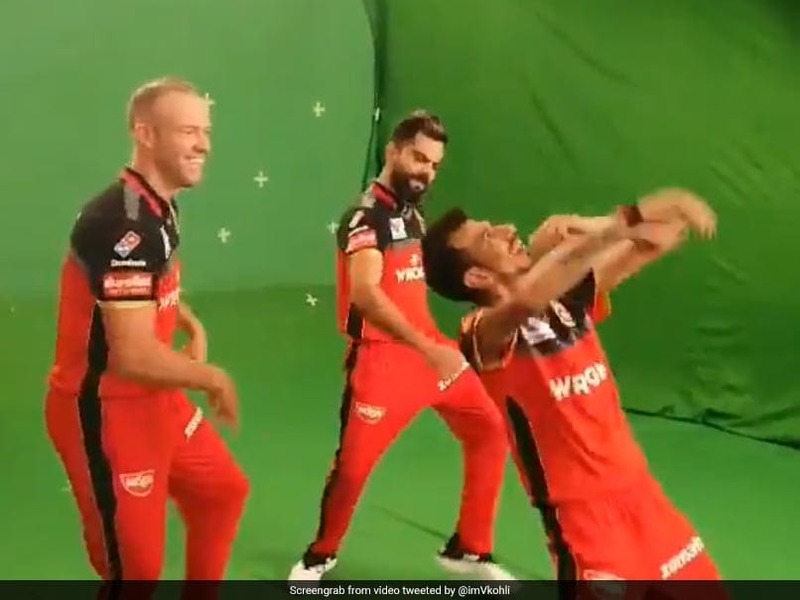 A video shared on his social media pages shows three RCB players - Yuzvendra Chahal, AB de Villiers and Kohli himself - shaking a leg and then breaking into peals of laughter, presumably brought about by Chahal being more exuberant with his dancing steps than the routine had mandated. The video clip is probably from the sets of a promotional video by RCB, as can be evinced by the green screen in the players' background. It can also be assumed, from the players' reactions at the end of the clip, that the video had to be reshot. 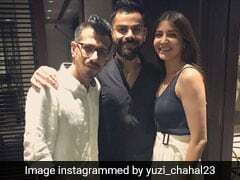 Update: The video was deleted from all of Kohli's social media account around two hours after being posted. On Thursday, Kohli, speaking minutes after Thursday's match, was not holding back any punches when he said, "We are not playing club cricket...The umpires should have their eyes open." His anger, brought about by a replay of the last ball on the giant screen - which showed that Lasith Malinga had significantly overstepped - has been echoed by several past and present cricketers since then. The home team needed seven runs off the final ball but RCB's Shivam Dube failed to get the job done as Mumbai registered a six-run win. However, after the end of the match, replays showed that Malinga had overstepped by a big margin on the final ball but no call came from the umpire. Things could have been very different had the umpire noticed the no-ball. If a single had been taken off the last ball and a no-ball called, RCB would have needed to score five runs off the final ball, which would have been a free-hit, with the man on strike AB de Villiers, batting on 71 off 41 balls.